An artist-in-residence award for an artist who is Canterbury-based or has an association with the region. Inclusive of a three-month grant, studio facilities and access to related resources at the Ara School of Art and Design. 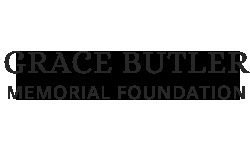 The Grace Butler Foundation is pleased to announce that the inaugural recipient of the Grace Butler Foundation Award at Ara is Zina Swanson! For more details and the selection panel's comments please see our news page. Original generation time 1.0704 seconds. Cache Loaded in: 0.0005 seconds.